I’m interested in your school, but can I come and watch a class? Yes! We whole heartedly recommend coming and watching a class or two before deciding to join. How else will you know if the school’s training is for you? Please do not hesitate to ask questions of Master Robert or any of the senior students – they will be happy to answer them! Everyone has their personal reasons why they want to learn martial arts. For many, it is to learn skills to defend themselves and their loved ones from a violent attacker. For others, it’s a whole body workout to get and keep your body strong and supple, while providing a path to personal development. And still, for others there is an interest in learning an ancient practice that dates back not only centuries, but even millennia. 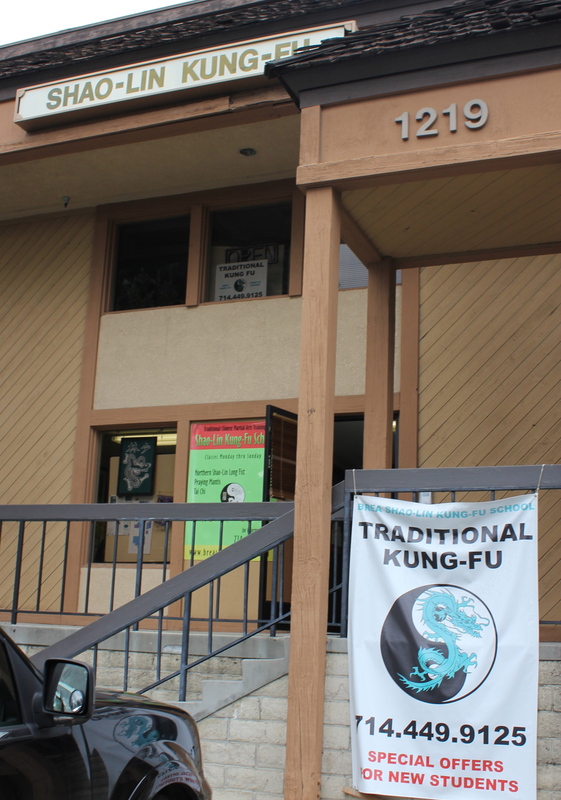 Whatever the reason, kung fu provides a vast number of physical and mental benefits. How long does it take to become a black sash? First, acquiring a black sash is only finishing the first or second chapter of kung fu training. It means you have trained long enough to have become well versed in the basics of the art and have started learning and acquiring intermediate and advanced skills. Ultimately, there is no end to kung fu training and the basics learned in the first few classes will be refined and improved years, even decades, after attaining the black sash. With that said, there is no equation for achieving the black sash. Simply put, it requires a lot of hard work. Those students who consistently train 2+ hours a day, 4-5 days per week may be asked to test for their black sash in around two to three years. This is not common, but is a definite possibility for those who fully dedicate themselves. Over the years, around five years of consistent training of an hour a day most days a week have put students in the position to test for their black sash successfully, although for some it may take even longer. As much as you possibly can! There have been many studies that suggest mastery in most fields can be attained by deliberate, focused practice of 10,000 hours or more. If you’re intention is to acquire a high degree of martial skill and physical fitness, then train as much as you can. This can mean multiple hours a day most days of the week. If your intention is to gradually learn these arts and simply keep in shape, then an hour a day, 3-4 days per week is good. Remember, focused effort and consistency are the cornerstones to progress in our art. Class attendance should (and will hopefully) become as much a habit as brushing your teeth or eating lunch. Making it a part of your weekly routine will pay big dividends. Most likely you will not be the only beginner in class. However, advanced students are instructed to teach junior students at their respective levels. This they are always eager to do. Keep in mind, it is very beneficial for beginners to practice alongside more senior students. By doing so, they are able to catch on to the rhythms and etiquette of the class and learn how things are done by watching senior rank. Do I need to be in good physical shape to start martial arts classes? No, in fact, our classes are specifically designed to safely and effectively get you into great physical shape. Your fitness level increases as you consistently attend class, are taught more, and do more in class with each rank. You must push yourself and give your all during class. This effort produces outstanding fitness over time. Why are classes mixed? Am I too old or is my child too young? Man – woman – old – young… each can learn and benefit from our school’s martial arts. All student’s need to develop physical strength, endurance, flexibility, coordination, speed, confidence, and martial skill and everyone joins the school with their own levels of each. Our younger students need to train with other younger students, but also benefit by training with adults. Men and women are not considered different at our school or for traditional Chinese boxing schools – all have the ability to attain high levels of martial skill and vastly improve their lives. As for age, typically children 5 and up are able to focus sufficiently to be good students, but each child’s maturity level is different. There is no age restriction on the upper age bracket – everyone starts somewhere and can benefit from the physical and mental training. Occasional bumps and bruises can be expected now and again at our school as we place a high value on the martial aspect of our art. However, major injuries are not to be expected. Martial excellence takes far more time to acquire with serious injuries so they are to be avoided at all costs. When minor injuries do happen, the student should inform his/her teacher, continue to train, and simply take care not to further damage the injured part. By not using a particular hand or foot while training, new skills can be acquired that may not have otherwise surfaced. Will this help instill discipline in my son(s)/daughters(s)? There are two kinds of discipline. The first is discipline demanded by others and the second is discipline demanded of yourself. Our traditional school provides both to children. Classes require students to follow direction, move quickly, and obediently follow a hierarchy. More importantly than the discipline that our school demands of our students is the self-discipline that students will demand from themselves as they desire to improve and progress over time. The pursuit of excellence in our martial arts requires the student to push himself/herself, choose exhaustion over ease, and the sacrifice of other activities for kung fu practice. Will martial arts classes make my child aggressive or violent? Quite the contrary. Children who have a positive outlet for their energy, are taught self control and participate in activities that boost confidence and self esteem have proven to be calmer, less prone to violent outbursts and more easily able to resolve conflict without becoming physical. They also taught to understand that with acquired skill comes responsibility to use it appropriately. Yes. A basic school uniform is required for class and a full uniform is required for testing. A basic uniform are kung fu pants and a black/white/gray shirt. A full uniform are kung fu pants and a kung fu long sleeve top with patch. The uniform serves many purposes. Three important purposes of the uniform are durability for hard training, looseness for ease of movement, and prevention of potential injuries to you and your training partners. General etiquette, i.e. how to bow to your instructor and fellow students, how to enter and leave class, etc. Do you spar in class? Yes, sparring is an important part of the training at our school. Successful application of kung fu techniques in a controlled setting with non-cooperative opponents is a major goal of most students. Students use protective gear including gloves, pads and mouth guards when sparring. No student engages in this aspect of the practice until after he or she has demonstrated that they have the proper skills and foundation needed and students are told when they are allowed to spar. How long before I will be able to defend myself? This depends on the person, but generally three to six months of consistent, deliberate practice should provide enough martial ability to defend yourself against an untrained opponent. There are exceptions as everyone has their own individual level of innate fighting proclivity and physical ability. Kung Fu has a number of similarities and differences from other asian based martial arts and even from all the various kung fu styles. Judo is a sport that involves primarily throwing and grappling and is a derivative of jiu-jitsu. It has a number of similarities to western wrestling, was invented in the late 1800s by Jigoro Kano in Japan and is primarily trained as a sport. Karate was originally an Okinawan method of combat that utilizes physical strength with striking and minimizes with throws and grappling. Its blocks are hard and it is a power oriented style. Tae Kwon Do is a Korean art, similar to karate, that emphasizes the feet as weapons and is also very power oriented. Kung Fu has both hard and soft styles. All styles teach the use of throws, grappling holds, weapons, and open hand combat. It is therefore a more broad and complex system of combat than many other styles. Similar non-Chinese martial arts include Jiu Jitsu (Japan) and Hapkido (Korea). What is the philosophical basis of Shaolin kung fu? The Shaolin philosophy is a combination of philosophical Taoism and Buddhism. Chi is a basic concept in most Asian arts, martial and otherwise. It is also known as prana (India) and ki (Japan), words which generally translate into “breath.” At the most simple level, chi is described as the life force, or “electricity” of living things. It is analogous to the energy that makes something alive, rather than inanimate, and death is described as a body devoid of chi. Although difficult to define, measure, or explain, chi lies at the root of martial and meditative arts practices. A Chinese term for “master” or “teacher”.